We are delighted to introduce Village Mews by Taylor Wimpey. 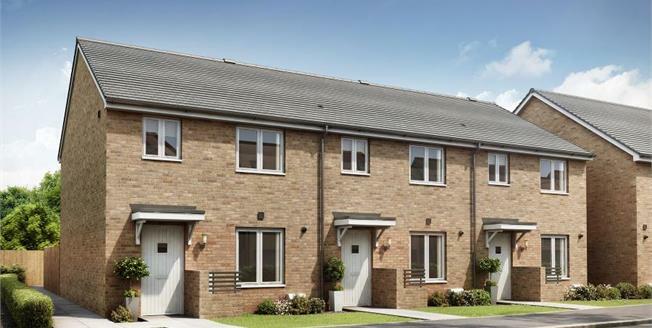 A new and exclusive collection of 2 & 3 bedroom homes in Alver Village, Gosport. To discover more book an appointment today, you don't want to miss out. Overlooking Alver Valley Country Park in the Rowner area of Gosport, Village Mews occupies a position within east Hampshire that makes it easy to reach Portsmouth and other seaside towns along the south coast. It's less than a five-minute walk to the nearest supermarket, with a larger choice of shops available in nearby Gosport and Lee-on-the-Solent. Catch the ferry from Gosport to Portsmouth to indulge in some retail therapy at designer outlets and enjoy a variety of leisure facilities. The charming market town of Fareham offers a mix of independent shops and high street names. Plot 805 The Flatford is a three bedroom end of terrace home that offers versatile living. This well proportioned property is adaptable for many lifestyles boasting a living/dining room with double doors opening out to the private rear garden, seperate kitchen and a cloakroom to the downstairs. Upstairs you'll find the master bedroom with an en suite shower room, two further bedrooms and the family bathroom. 3.43m x 3.08m, 11'3" x 10'1"
4.72m x 3.70m, 15'6" x 12'2"
2.96m x 2.83m, 9'9" x 9'4"
3.30m x 2.63m, 10'10" x 8'8"
3.70m x 2.00m, 12'2" x 6'7"
For further information and to arrange an appointment please call us on 023 8181 0684. Please note that the CGI's, floor plans and dimensions are for guidance purposes only and are not to be relied on as a statement of fact, they do not form part of a contract or any part thereof. The photo's have been taken from a previous development of a similar specification and are for representative purposes only. The descriptions, measurements, distances are all believed to be correct but the accuracy is in no way guaranteed.